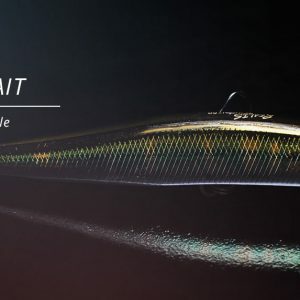 Realis Spinbait 80 G-Fix is absolutely the best spybait to reach deeper bass or further targets and the only spybait to stay in deep zones longer and more accurately. With the additional weight producing even greater distance, it remains the only spybait designed for professional angling. 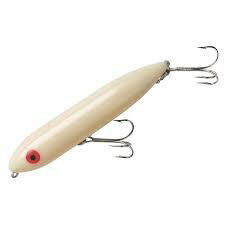 The LC RTO Series is the first high quality plastic square bill crank bait ever made. 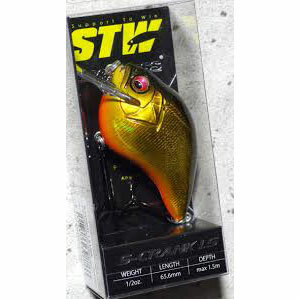 Over the last several years, the LC Series crankbait has replaced balsa wood crankbaits in tackle boxes for cover fisherman everywhere. 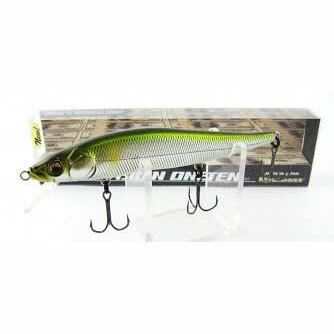 The LC RTO Series is a high floating plastic crankbait that is much more durable than its predecessor wooden crankbaits. 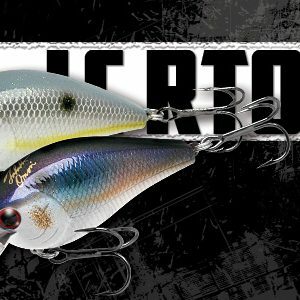 The LC RTO Series reigns supreme in heavy hard rocky bottom areas where large bass lurk. Available in Fourways & Ophirton ONLY. The POINTER has been designed with a very low center of gravity through the use of special brass weights. The low center of balance causes the lure to wobble and vibrate whenever the retrieving motion is stopped. 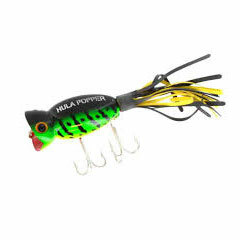 The POINTER will suspend 4 -5 feet deep and will emit an intriguing bass-calling vibration, while in the suspended state. A short twitch of the fishing rod will generate the “Walk the Dog” action under the water. 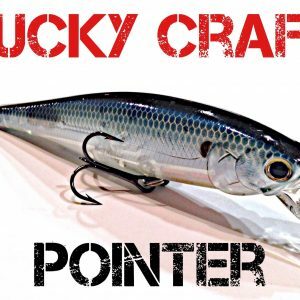 “Walking the Dog” action can be difficult to achieve with some top water baits. SAMMY makes it easy. 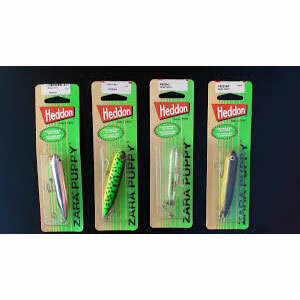 Combine its easy to achieve “Walk the Dog” action with the spitting action of a popper and SAMMY gives you unsurpassed top water performance. But that’s not all. 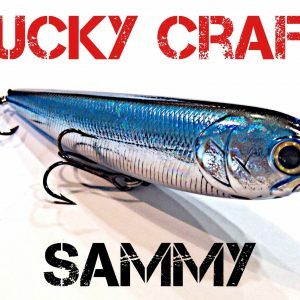 Add the bass calling, glass rattles and the ultra natural coloring to top water bait that can be cast a long distance, and SAMMY becomes a must for all tackle boxes! SAMMY has already accounted for victories at the various tournaments within the past three years. Available at Fourways & Ophirton ONLY. 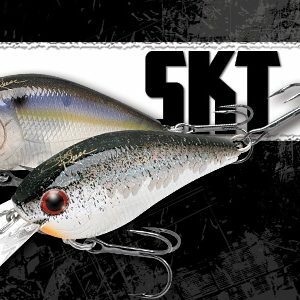 This new SKT isn’t just a size upgrade, but it’s a completely new bait. 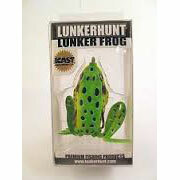 Serious fisherman will need both in their tackle box because they stand out in very different conditions. 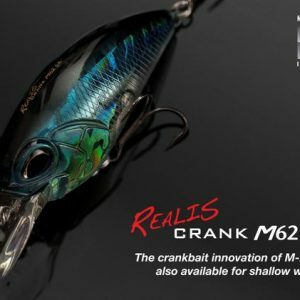 The SKT MR is faster, can cover a lot more water and still have the great deflection capabilities of the original mini versions.The original SKT Mini MR are great summertime baits when fishing after the spawn.